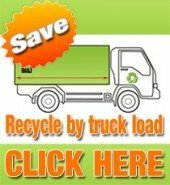 We provide a green solution for your junk removal. We’re pleased to offer an eco-friendly, economical junk removal solution for environmentally conscious residential, commercial and industrial clients. We make every effort to reduce the amount of trash that ends up in the landfill. We take the time to recycling everything we can. Even the smallest property can generate a surprisingly large amount of trash. But not all junk is garbage. By implementing an environmentally sound waste program and trash disposal service we determine what can be disposed in an environmental friendly way. We always sort all items to determine what can be recycled. By sorting and recycling we do our part for the environment in reducing consumption of fresh raw materials and energy, as well as minimizing air and water pollution.